Oaklodge has a Spacious bright Dining Room. A Extensive menu range is available to meet all diet requirements. 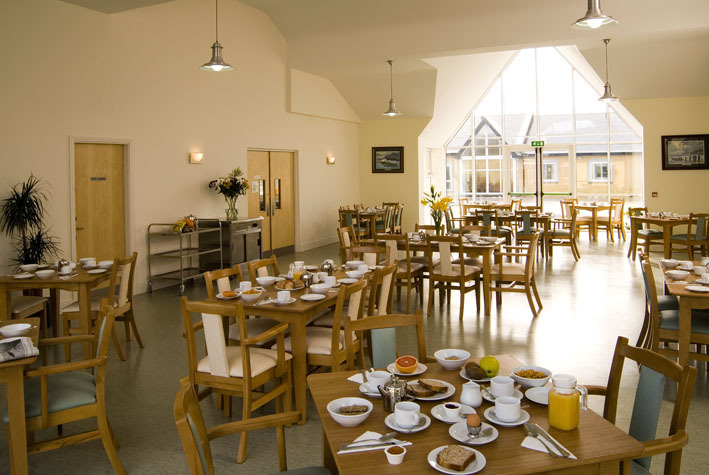 Oaklodge offers a ‘home away from home’ atmosphere for all residents and their families. Family involvement is encouraged and visitors welcomed at all times. Staff, residents and family are invited to share in the care of residents and our undertaking is to provide a safe, happy and secure home for all who join us.